It is truly a rare thing for Lucky Scooters pro team rider, Tanner Fox to release actual riding footage nowadays. 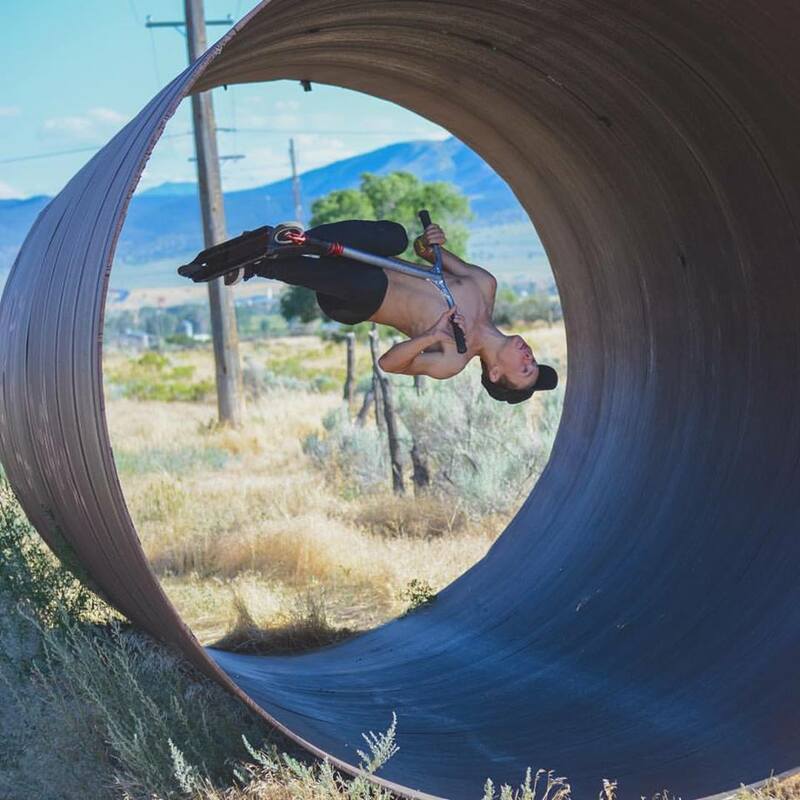 Between the constant YouTube Vlogging, as well as, the competing in national and international freestyle scooter competitions, it is hard to find the time to actually go out and a ride and film just for the sake of doing it. However, Tanner did just recently find the time to gather up some footage, which he just dropped on his infamous YouTube channel as a quick release. 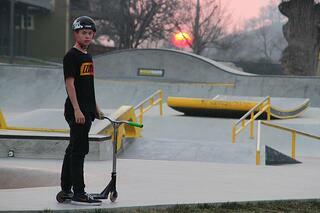 Tanner is a very remarkable young scooter rider. He is probably best know for his wicked combinations, as well as his mean double flairs and flip drop ins, but the footage in this video takes a lot of those aspects of tanner’s riding to an entirely new level. You can tell that Tanner didn’t spend too much time during the filming process of this video, but nevertheless, he did somehow manage to collect nothing but premium level quality footage. Every single trick in this video is a banger, in my personal opinion, which is never a simple task to achieve. Tanner starts the video out with some really excellent b roll and lifestyle shots, which really sets the tone for the rest of the video, and then from there, he just kind of smacks the audience in the face with a massive tail whip combination on the Clairemont step up, which is certainly no simple obstacle to ride. However, in Tanner’s case, it looked like a piece of cake. Although some of Tanner’s longer lines at Clairemont were slightly redundant to me, he really made up for it with all of the other phenomenal tricks and lines that he threw into this edit. I particularly loved all of his mini pipe lines because they did an excellent job of showcasing some of his signature tricks being linked together into one complete line. I still don’t think that I will ever be able to fully understand how people are doing double flairs, let alone doing them as frequently as Tanner does them. On top of that, did anyone else catch that magnificent 360 front briflip to late bar spin over the spine? That was definitely one of my favorite tricks in the entire video, along with the backflip drop in on that brick street quarter pipe. I dot think that there are very many other scooter riders out there that would have been willing to even attempt to ride that thing, let alone backflip into it. Anyways, Tanner Fox did an awesome job with this latest and greatest quick release edit of his, so I would highly suggest that each and every single one of you Tfox fans out there be sure to check this out and enjoy. 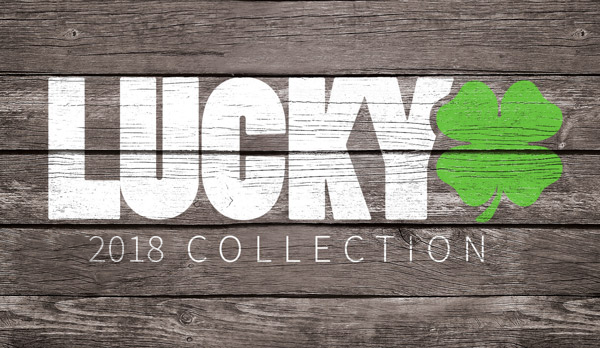 Also, be sure to stay tuned right here at Lucky Scooters for more great team rider content and videos, along with any and all other future Lucky Scooters news and updates.